If you thought it was easy to get paid online, from your laptop or desktop, get ready to be shocked by how incredibly simple it is to get paid from your cell phone. You will no longer have to set aside time at your home office to take a survey. If you only have a few minutes at a time, focus on the first recommendations as you will only need 15 minutes at the very most for these activities. When you have more time on your hands, or want to earn more cash per task, review the second half of this article to gather some ideas. InboxDollars is probably the next largest “get-paid-to” platform after Swagbucks. There are many different ways to make money with InboxDollars that include reading sponsored email, taking surveys, watching videos, shopping, and performing web searches. To double your daily earning opportunities, you might consider joining both platforms, Swagbucks and InboxDollars. If you prefer earning cold, hard cash to gift cards, Inbox Dollars can be a better option. Plus, you will receive a $5 bonus just for signing up and completing your first activity. MyPoints is the sister site to Swagbucks. The earning opportunities are virtually identical, but, the payment amounts and redemption prices for gift cards can be different. For example, you might be able to earn 1,000 points from MyPoints and only 500 points at Swagbucks for the exact same activity. Or, MyPoints might be having a gift card sale for your favorite retailer and Swagbucks doesn’t. You may or may not appreciate the overlap, but, if you already enjoy Swagbucks, you will know what to expect from MyPoints. Swagbucks is a very popular online survey site that provides its members with a variety of potential earning opportunties. I have personally enjoyed taking their daily polls, watching video clips, and searching the web. They actually have a few mobile apps you can download. 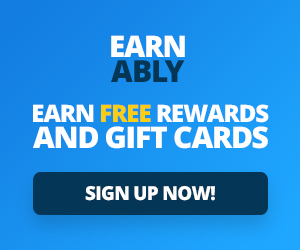 Swagbucks typically pays members in cash via Paypal, amazon giftcards, and awesome prizes. Stay tuned for more Swagbucks apps down the road. iPoll is a popular survey panel that allow you to take short short surveys while you’re on the go. If you are not familiar with this site, they are ran by a company called SurveyHead. iPoll gives you $5 just for signing up, and the surveys consist of around 10 questions each. They have various ways of payment and you can cash out when you reach the $15 payout limit. If you want to earn gift cards, which can be just as valuable as cash, instaGC can be a good option. You will get paid to take surveys, but, you can also make money by watching videos, shopping online, and playing games. There are more than 360 gift card options to choose from and each gift card is delivered electronically. Do you only have time for surveys? Survey Junkie can be your best option as you will take surveys that help shape the product development and marketing campaigns of tomorrow. 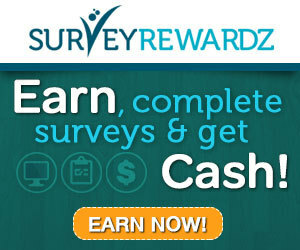 You will receive points for every survey you complete that can be exchanged for cash and gift cards. Another survey finder that helps you connect with multiple survey sites is Vindale Research. You will get paid up to $75 for each survey completed. You can also earn additional cash by watching videos and leaving feedback and also looking for special Vindale codes on select websites, you tell Vindale when and where you found the code and you get paid! Vindale pays all members in PayPal cash or paper check. Once your account balance reaches $50, you can request instant payment. Ipsos I-Say is one of the longest-standing online survey communities. You will earn points for taking paid surveys, user-generated polls, and interacting with other members within the community. They also offer an annual loyalty bonus that will award you bonus points each year based on the total number of surveys you complete. Points can be redeemed for gift cards or contest drawings. Harris Poll Online is one of the oldest survey companies around and they let you take surveys from your Android and Apple devices. Governments, non-profits, and household brands partner with Harris to garner your opinion. Points earned from each survey can be redeemed for cash or gift cards. You can also earn additional points by sharing your shopping purchases with the Harris ShopTracker program.